It has been said (by this website, no less) that the luxury box segment needs to exist. Something that a luxury brand that Lexus would contribute to. And it looks like that’s about to happen. 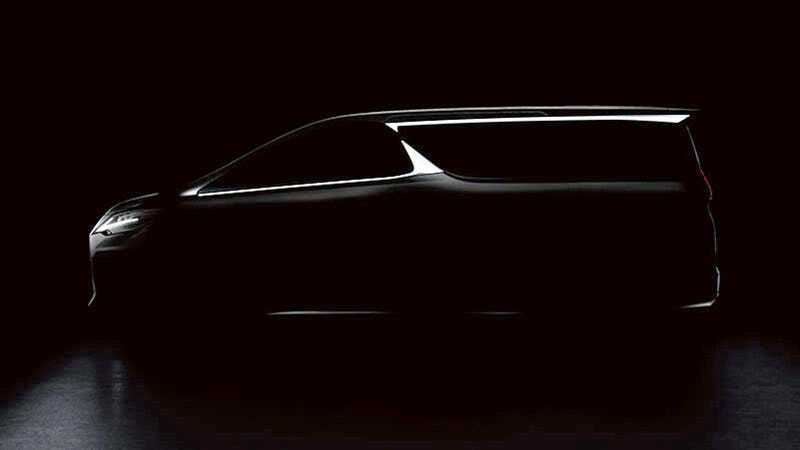 This is but a shadowy teaser of an upcoming model called the Lexus LM that certainly has the appearance of a boxy people-mover. The car will be revealed during a press conference at the upcoming Shanghai Auto Show, according to a company press release. Minus what appear to be Lexus headlights, the two look basically the same. Even down to the dorsal fin-looking B-pillar. You can’t tell me the LM isn’t the Lexus version of the Toyota Alphard. Which means that the two will likely share a platform and maybe engine options, too. But the Lexus will probably have more upmarket materials inside and come with a steeper price tag. Will we ever get something like the LM or the Alphard here in the U.S.? It’s not likely, as these neat vans are usually reserved for the Asian and European markets. But one can hope. The LM will be officially unveiled on April 16. We’ll see how right I am then.